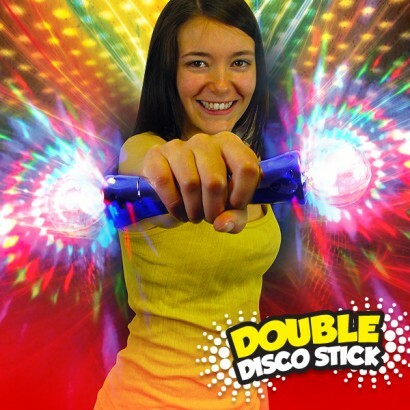 A colourful projection torch, the Double Disco Stick Wholesale casts projections of colourful light onto surrounding surfaces for seriously funky disco effects! Crystal balls project the light from either end of the torch in three groovy modes for a wonderful hand held disco! 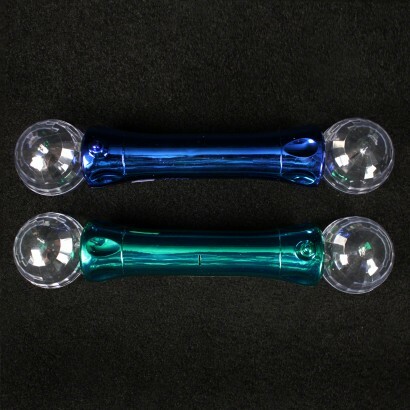 Handle comes in either metallic blue or green. 3 x AAA batteries included and ready to go!